Many of our guests are surprised to hear that 10% of all accommodation revenue at Chaa Creek goes directly into environmental and community projects under our Chaa Creek Cares™ initiative. And when guests do learn how their visits benefit the land and people of Belize, we’ve found their responses and support to be heart-warming and helpful. We’re heartened that Chaa Creek continues to attract travellers who share our commitment to sustainable tourism and responsible travel, and invite you to learn more about some of our initiatives. Chaa Creek's 400-acre nature reserve offers a wide range of exciting, educational, and healthy activities for adventurers of all ages and abilities. Welcome to Chaa Creek, rated one of the world's best Eco Lodges & a pioneer in adventure travel to Belize since 1981. Wildly civilized sums up the philosophy of our award-winning Belize Jungle Resort, located in the heart of Maya civilization. 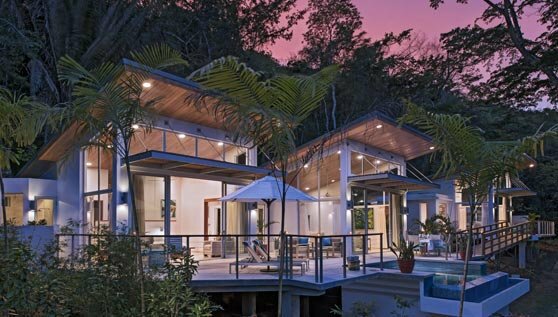 Since Chaa Creek’s inception in 1981, owners Mick & Lucy Fleming strove to coexist with nature while creating a true jungle experience & the result is an exquisite blend of natural beauty & man-made comforts. We are proud that Chaa Creek continues to win recognition as one of the Caribbean region’s best examples of sustainable, Green tourism.